Ulna and humerus form the main bony connection in-between arm and forearm. The radius is primarily linked to the ulna. White lines point to the caput radii, black lines to the olecranon (the distal end of the ulna and onset of the aponeurosis of the triceps). 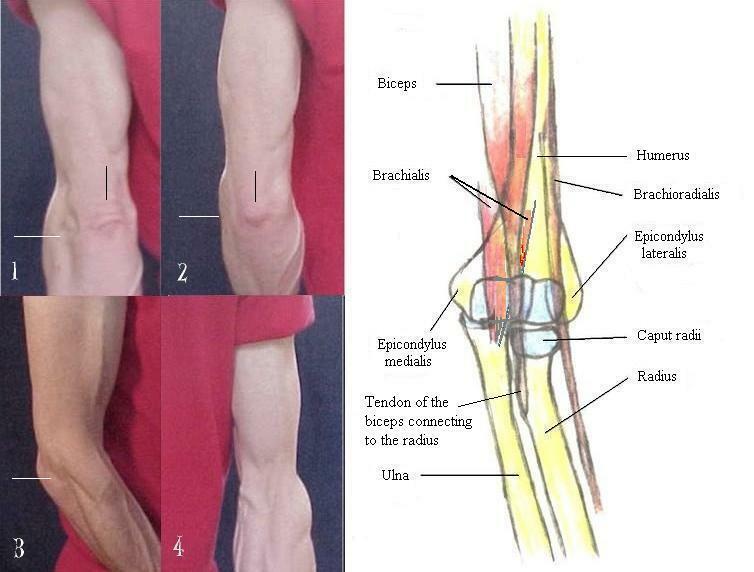 Figures 1 and 2: Note the arising of the lateral and medial part of the triceps from its aponeurosis.